Vendor: Pandora Press U. S.
Kauffman tells stories of his encounters with Iranians, their culture, and their politics, to give witness to ways walls can break down when the stories, culture, and history of others are attended to. "Americans aren't supposed to talk to Iranians. Thank God Richard Kauffman is a Mennonite and thus open to God turning enemies into friends. 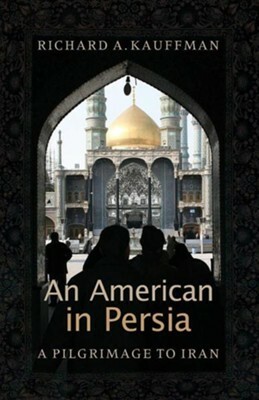 This book had me transfixed-and deepened the mystery of the meaning of words like American, Iranian, and ultimately, Christian," notes Jason Byassee, Executive Director, Leadership Education, Duke Divinity. Meanwhile David Cortright, Kroc Institute for International Peace Studies, University of Notre Dame, believes that "Kauffman offers a rare and penetrating portrait of an ancient and proud land, and a people who are surprisingly friendly toward Americans. The book features gorgeous photographs that capture the dignity and grace of ordinary Iranians and depict the beauty of an unknown country. A must for all who want to build understanding and friendship with people our government would have us consider enemies." Laurie Blanton Pierce, Author, What Is Iran, sees the book as "much more than a travelogue. The story of his visit to Iran is interspersed with helpful background information on the country's history and culture. He examines controversial issues with thoughtfulness and an open mind." I'm the author/artist and I want to review An American in Persia: A Pilgrimage to Iran.